‘One colour’ scheme - includes a colour of low intensity, such as beige, light grey or white. Any details in vivid colours would be emphasized. Monochrome colour scheme - the entire room is made special. For example, if yellow is a base, various shades of yellow will be included in combination or individually throughout the space. Analogous colour scheme – limited to various related colours. For example: green is combined with other shades of green and yellow-green. Complementary colour scheme - where contrasting, i.e. complementary colours are used, such as red and green, blue and orange, yellow and purple. The result is interesting and lively, and yet not pushy. The way we feel, the atmosphere in any room is determined by our automatic reaction to the colours in it, because nothing sets the mood as quickly as colours, to which we react instinctively and immediately. Pastel colours are the easiest and softest shades you can experiment with. They are so lovely and gentle that they are easy to combine, always with a harmonic effect. They are very common in children rooms. The disadvantage of pastel colours is that they can seem cold in a minimalist interior design, with simple furniture. Clear and intense colours have an air of contemporary design and do not go well with traditional furniture. They are fantastic at emphasizing personal style and vitality. Dark colours have a gloomy, negative effect in the interior, which is why they are not recommended for large surfaces or all walls of the room. They can, however, bring about an energetic, modern effect when used in a room with cozy leather furniture in ivory. Earth tones are often used, such as brown, green and elegant shades of grey. Neutral colours are sophisticated and subtle, naturally elegant, extremely adaptable to any interior, causing a feeling of comfort. They can be warm such as: ivory, honey, white coffee, chocolate, or cold, such as pure white, graphite, and grey. By emphasizing the texture of different materials which are neutral, you can achieve a dynamic atmosphere and bring attention to detail without adding a strong colour contrast. Sometimes it is enough to stress the features of the architecture itself, and these colours are just right for the job. 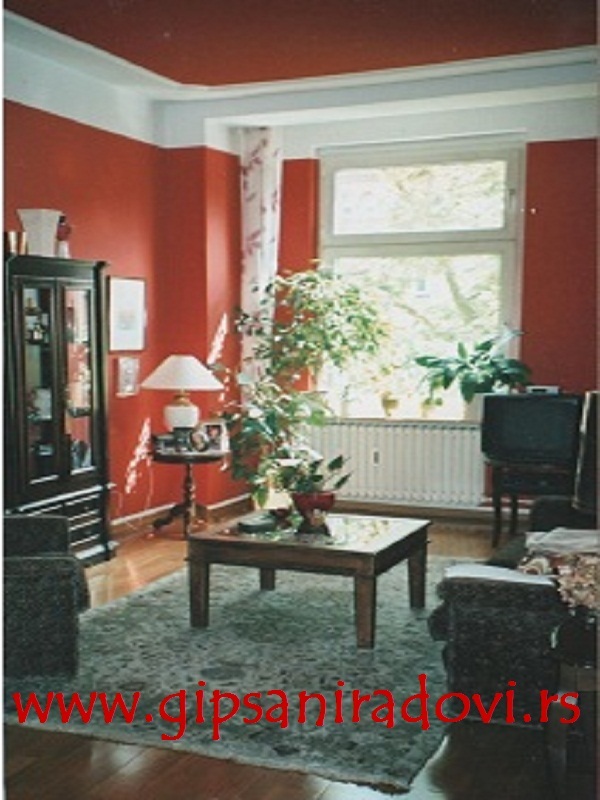 Walls can be painted in one or more colours, or tones. Shape, arrangement and size of differently painted surfaces must be well-conceived. Walls must be painted well, with regard to what the influence of artificial and natural light will be, as well as the wall structure. Matte surfaces bring peace into the space, glossy ones are dynamically reflective and embossed surfaces ooze a specific charm. Floors make more than 30% of what you see in the room, and whether you want to cover them or leave them uncovered, you need to consider their colour when choosing the colour for the home. As ceiling defines the height, there are colour tricks to help you make it look higher or lower, open or closed. The colour of the furniture also has a great impact on the atmosphere and our perception of a room. Careful selection of textures and materials is very important, while colour decor gives emphasis and completes the interior. If you want a cold, minimalist atmosphere at home, choose white or a neutral variety of a colour with the same common values, such as hot or cold light grey or beige. Using them for walls, architectural details, built-in elements, floors, furniture or fabrics will give the room a floating sensation. If you want a warm, cozy atmosphere, use shades of red, yellow and orange - this includes peach, pink coral, gold and terracotta. You can use your favourite colour on the walls and its lighter shade on the ornaments and construction elements. If you want to evoke warmth without too much colour, combine the warm shades with neutral colours or white.